While you are not at your house and out for some recreation or any other thing, it becomes easy for the thieves and burglars to case your house for the quick plunders. 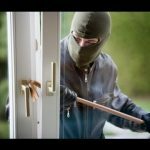 There are clear statistics which shows burglars enter a house when they somehow have the idea that there’d be no one in the house. Technology is now used for home security purposes, but that doesn’t make the security responsibilities to stop the bad guys from breaking into your home. The technology and the security gadgets help you to scare the burglars to some extent and to keep your house safe. There could be several types of home security gadgets which can be used to prevent your house from such incidents and to alert you in case any burglar tries to enter your house. Web security cameras are the smallest home security gadgets, and they are the smartest security tools to be installed at home for safety purpose. They are most of the times of a pepper mill size, and they have a subtle style, so they look presentable when they are installed on the entryway table. The entryway table is supposed to be the best placement for the web security camera as it has got the face recognition technology. Which tells you when the kids are at home from school or when someone unknown enters your house. It sometimes also has sensors which are connected to your smart device through which, alerts are sent to you when someone opens or close the windows, gates or doors of your house. Outdoor cameras are the best home security cameras to know who is entering your house. But most of the times, the thieves and the burglars don’t enter the house from front door instead they inspect about the blind spots at your house where there are the least chances for them to get caught. The wire-free blind spots security cameras work as the best home security gadgets, and they prove to be the best solution to make sure that the blind spots are being monitored. These cameras are powered by batteries, and they can normally work four to six months without replacing their power cells. 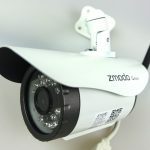 They have got the feature of motion detection, and they are good to shoot high-quality videos, and normally they contain infrared night vision. It is how they are highly helpful to keep your house safe from thieves and burglars. They are not too much expensive for someone to afford yet they can save your home from any big losses. Normally when the burglars think to break into a house knock or ring the bell to check if there’s someone at home. But it is not necessary that you must answer the bell to scare the thief or burglar as the light can easily do this on bell-ringers. Even if you are not at home, the lights are automatically turned on when the bell rings; this will make the burglar feel that there is someone at home. These are affordable yet very useful gadgets for home security as they can perform various effective tricks. These ring lights automatically learn your lightening schedules, and the lights at your home are automatically turned on when you are not at home at the time when you normally used to turn the lights on. There is also a microphone embedded in it which can be trained if needed for detection of the doorbells and then whenever the doorbell rings, the lights are automatically turned on hearing that voice of ding-dong. There could be a lot of people out there who might think that it is easier to unlock the deadbolt, but it has got a built-in alarm which is enough for scaring the burglars. It is the best way to scare the thieves who try to break into your house. They can try unlocking the device with a key or code or even with the help of an application, but when you first set it, hardly anyone can break into your house. The siren padlock is most of the times overlooked by the homeowners, but they are highly beneficial and important for the security of your home. They also have got the built-in sensors through which the alerts are sent to you if someone fiddles with it. It could be unlocked with just a single touch only if when you’re Bluetooth enabled smart device is in the range of the pad. It is an affordable and a smart home security gadget which helps to keep your home safe and secure from the thieves and the burglars. 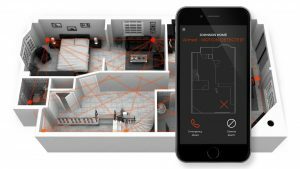 Smart things motion sensors are also an important and useful tool to have at your home for the security purpose as there may be some people who want to live in a comfortable place. They are not comfortable with the security cameras so for them these motion sensors work great. They get connected to your smartphone, and they send an alert when there is something unexpected going on an area within the range of the sensors. These sensors can also be paired to the lights at your house to make your home more energy efficient, and this is how the lights are automatically turned on if there is something unusual or suspicious. It is how the burglars may think that you are at home even if you are not. Fake security cameras are one of the best and the cheapest home security gadgets which don’t provide security assistance for your home. However, they are it is cost efficient option to scare the intruders and to stop them from entering their house. There are some fake security cameras which almost look as if they are real and the thieves may perceive them for real and get scared. Wired home security cameras are simple gadgets that are mostly used by the homeowners at their homes and in offices for security purposes. These cameras normally cover the whole event and make the video of the events that are later on helpful in catching the thieves and burglars. 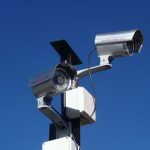 Some wired security cameras have a lot of multiple technological features like motion sensors and microphones which detect the suspicious movements and send an alert to you immediately. Barking dog alarm is another gadget that is usually installed by the homeowners at their homes to prevent from mishaps. These alarms prove to be a good way to prevent the house from intruders and burglars. As there are motion detectors installed in the alarm and whenever there is any suspicious movement, the bark alarm starts ringing and the thief gets scared and runs. A pressure doormat could also prove to be a good home security gadget. When someone is standing near your door at the doormat, it sends you an alert on your device so that you may get warned. Digital doormats are available in market at a reasonable price or you can make it at your own in less than $20.